No theatre lover should miss seeing this performance in the Majestic Theatre in New York City! perfect seat, totally worth it. 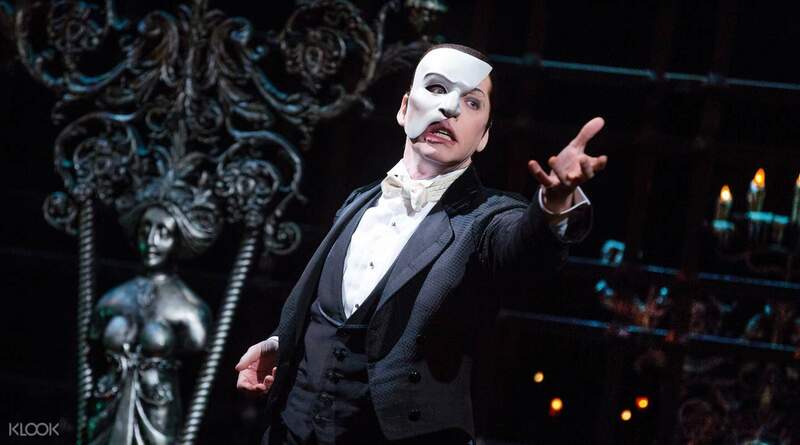 Witness Andrew Lloyd Webber's most famous musical performed live on Broadway with this ticket to The Phantom of the Opera at the Majestic Theatre in New York City! 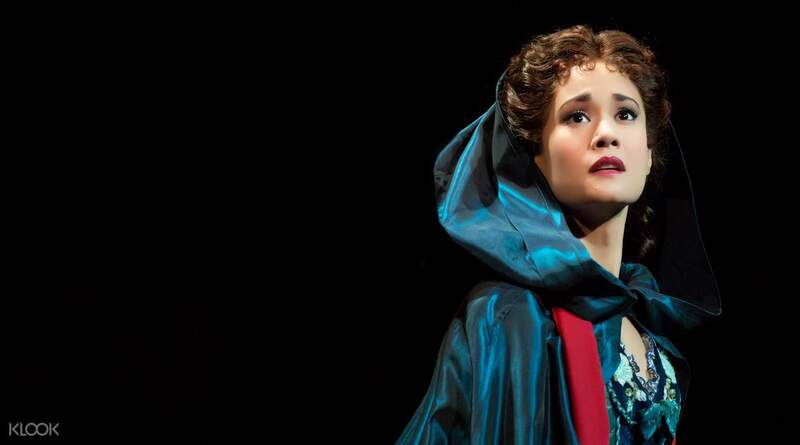 Follow this dark, spellbinding tale of the soprano Christine Daae as she's enchanted by the dark power of the Phantom who seeks to extend his power over the Opera Populare. It's a tale of music, love, and the light and darkness in the human soul, all ensconced in the award-winning songs and pieces composed by Webber. 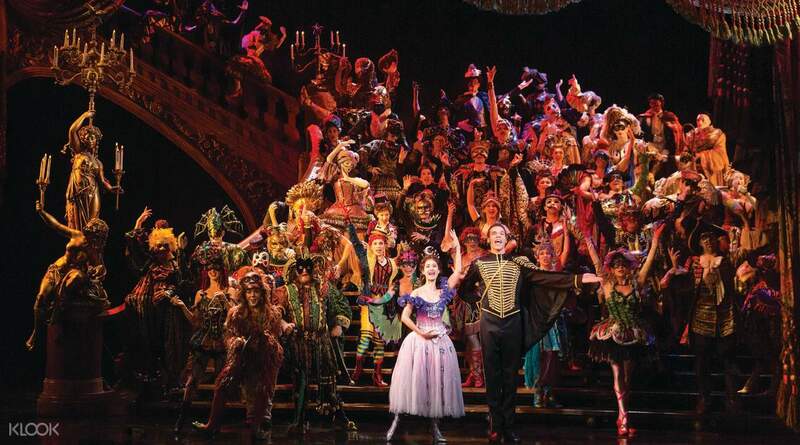 No theatre fan can resist the call of the “music of the night” as its performed onstage by a spectacular cast of actors, right on the Broadway stage. This thrilling dark tale of love and music is something no theater fan should miss! Procedures of Buying ticket through klook app is very easy and we can redeem the ticket there just show up the QR code from the phone that is super convenience. The show is excellent I enjoy it so much. This is my first time to watch musical so i choose the cheapest ticket. The seat is just so so. Only one thing to complaint is we are unable to choose the seat while purchasing. Procedures of Buying ticket through klook app is very easy and we can redeem the ticket there just show up the QR code from the phone that is super convenience. The show is excellent I enjoy it so much. This is my first time to watch musical so i choose the cheapest ticket. The seat is just so so. Only one thing to complaint is we are unable to choose the seat while purchasing. No problem for redeeming the tickets at the box office. We were given the best seats available, sitting right under the chandelier! Highly recommended. No problem for redeeming the tickets at the box office. We were given the best seats available, sitting right under the chandelier! Highly recommended. fantastic performance. easy redemption of tickets. will definitely go again if revisit new york. fantastic performance. easy redemption of tickets. will definitely go again if revisit new york. Got a really gd orchestra seat towards the middle of the row. 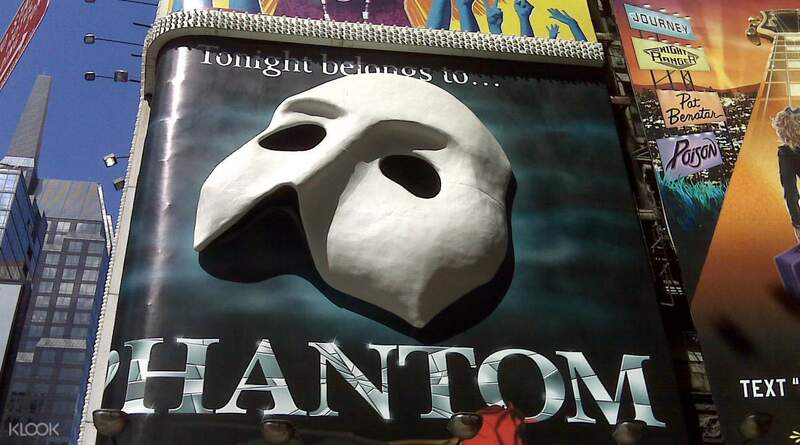 The musical was really great; the singing; the props and etc and was a must-see show for everyone going to NY. Got a really gd orchestra seat towards the middle of the row. The musical was really great; the singing; the props and etc and was a must-see show for everyone going to NY. Amazing show. Friendly staff. Tickets were easy to get. Amazing show. Friendly staff. Tickets were easy to get. Seats booked and tickets prepared in advance thanks to Klook! Seats booked and tickets prepared in advance thanks to Klook! Simply awesome show and perfect seats. Klook's staff are helpful with my bookings. Thank you. Simply awesome show and perfect seats. Klook's staff are helpful with my bookings. Thank you. It's a great deal. Amazing actors, actresses, and singers you cannot miss. It's a great deal. Amazing actors, actresses, and singers you cannot miss.